Retailers have gained a unique advantage over consumers that previously never existed. They are now able to track and analyze customer behavior (online, mobile, and in-store) to better aim marketing campaigns, improve the customer experience, and increase revenue. Retailers have gained a unique advantage over consumers that previously never existed. They are now able to track and analyze customer behavior (online, mobile, and in-store) to better aim marketing campaigns, improve the customer experience, and increase revenue. Without Apache Hadoop, all of this would be almost impossible, as it is the most capable big data storage and processing framework available. Where there once were customer panels, in-store surveys, focus groups, and guesswork, there is now social media, online search behavior, and easy-access customer input. Retailers can focus on the shopper as an individual, rather than aiming at the masses and hoping to snag a few. 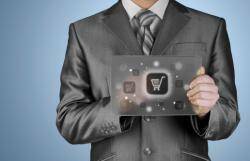 Among marketing campaigns and targeted advertising are multiple other use cases for Hadoop in the retail industry. Five of the most common of its applications are detailed below. Interacting with the customer has become easier than ever with the help of social media. Now consumers can send feedback directly, and ads can be focused based on statuses and search terms. Hadoop is able to scan and store transaction data and identify phases of the customer lifecycle to help retailers reduce inventory costs, increase sales, and build and retain a loyal customer base. Product launches, promotions, competitor moves, news stories, and in-store experiences all affect the customers’ opinions of the brand. It’s important for retailers to understand public perception of their brand so they can adjust promotions, advertisements, locations, and policies accordingly. Hadoop helps store and process this information from social media websites and browser searches to provide real-time perspective. In order to effectively localize and personalize retail promotions, it’s helpful to have a mobile app that sends users personalized push notifications of promotions and specific products at a nearby location that align with their customer data. Geo-location technology combined with historical storage and real-time streaming data becomes a unique marketing tactic that only Hadoop can help retailers with; other platforms simply don’t have the capacity. When customers browse retail websites, clickstream data allows researchers to view and analyze the consumers’ click habits, transaction data, and site glitches. This information is helpful for prioritizing site updates, running A/B tests, doing basket analyses, and to understand user paths to create a better overall shopping experience and more effectively reach the customers as individuals. For example, if a pattern suggests that there is zero activity on a portion of the website, you can assume that either that part of the website needs IT attention, or it is unappealing to the customer, and you need to make adjustments. Either way, a problem is resolved and revenue potentially increases. Store layout has a significant impact on product sales, but the customer’s in-store shopping experience is the hardest for retailers to track. The lack of pre-register data leaves a gap in the information about what customers look at, how long they linger, etc. Often, businesses will hire unnecessary extra staff to make up for poor sales, when really the issue is poor product placement and store layout. Sensors have been developed to help fill the gap, such as RFID tags and QR codes. They store information through Hadoop that helps retailers improve the customer experience and reduce costs. Apache Hadoop is a comprehensive big data storage and processing framework helping retailers optimize the customer experience, increase sales, and reduce costs related to inventory and marketing. With this expansive technology, businesses can focus their marketing efforts, get to know their customers and their needs, and create a customized shopping experience that will result in happy returning customers.